The world of software and web development changes rapidly. It seems like every month there’s a new hot language, library, or framework to learn. As a developer, you might find it confusing to decide what to focus on learning next. What new languages do you need? What existing languages are worth going deep on? 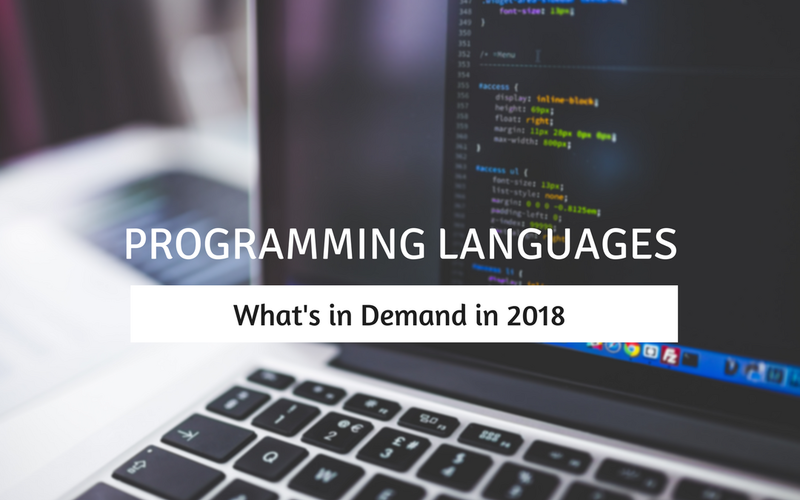 To help solve this challenge, we’ll take a look at a few of the world’s most popular programming languages today. There’s a skills gap in all the major languages as demand for developers exceeds supply. That said, you’ll want to make sure you’re learning a stack that has longevity, so you’re not having to learn something new every few years. Of course, with any language there will be changes in approach and new things to learn. It’s not a simple as just picking one of the following languages and then you’re done. You’ll need to commit yourself to constant personal development and independent learning if you want to be a top performer. Let’s take a look at these top choices to see what the experts have to say. Java is the among the world’s most popular programming languages for good reason. Java powers many of the technologies we use everyday. It also has an enormous community of developers and most major corporations use it in some way. In another post, we already looked at the top trends in Java for 2018. In years past, Java seemed to be declining in popularity as new languages competed for adoption. In 2017, however, it appears Java made a significant comeback, and it is still going strong. Anyone serious about a career in software development should at least understand the essentials of Java, since it’s used so frequently and in so many contexts. Python first appeared in 1991 and it has risen in popularity ever since. It’s known as a clean, developer-friendly language that’s simple to write and understand. The language is also very flexible, lending itself to a myriad of potential applications. This simplicity and flexibility is driving the demand for Python and Python developers. Companies appreciate Python’s simple, object-oriented structure. Over the past 26 years, Python has also amassed a large community, standard library, and support resources. Recently, Python has grown in popularity as one of the core languages used in data science and machine learning. Since Python is a high-level, simple language, it makes for fast prototyping and tweaking of machine learning algorithms. Still, it’s hard to go wrong learning one (or all) of the languages above, since they’re so popular. Whatever you choose, you’re likely to be in good company. You’re also likely to be in high demand as you keep learning new, useful languages.